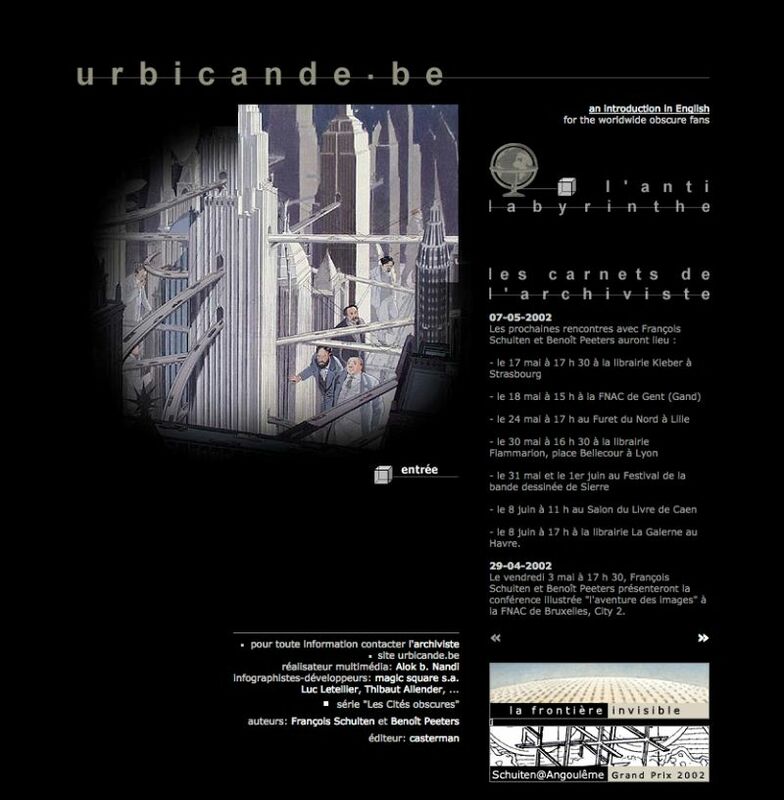 In 1998 a new layout was launched on urbicande.be. The wall with doors was replaced by a wall with windows, with a small boat approaching the wall over a dark river. Several windows leads to the current content. 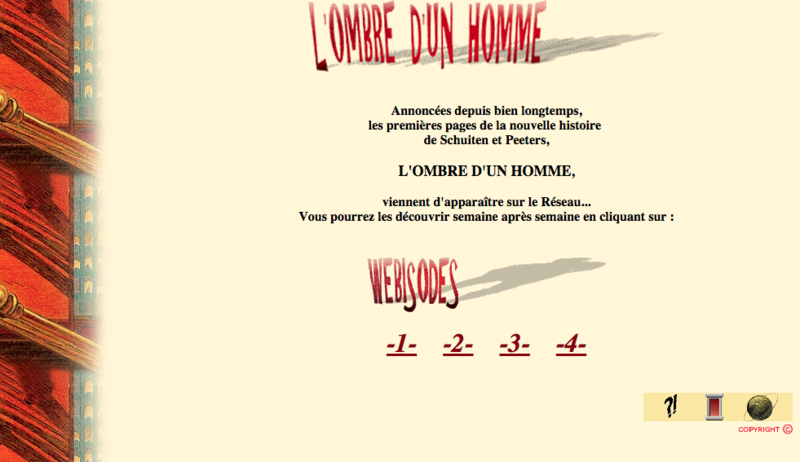 New content was added too. 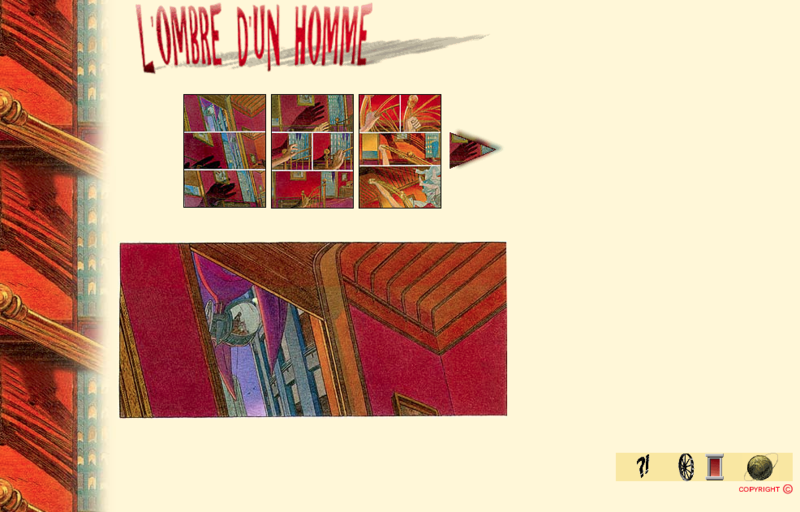 Several pages with unpublished work in L'Atelier and a prepublication of L'Ombre D'un Homme. This homepage didn't last long. 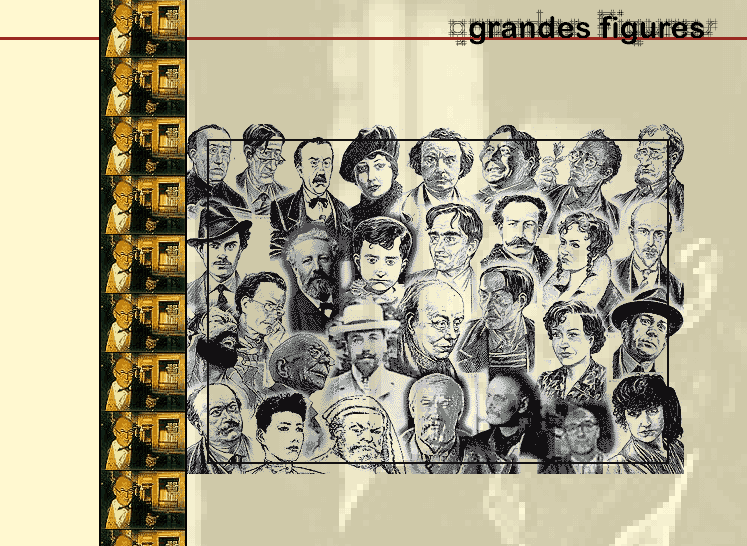 End of 1998 it was replaced with in introduction screen of L'Affaire Desombres. 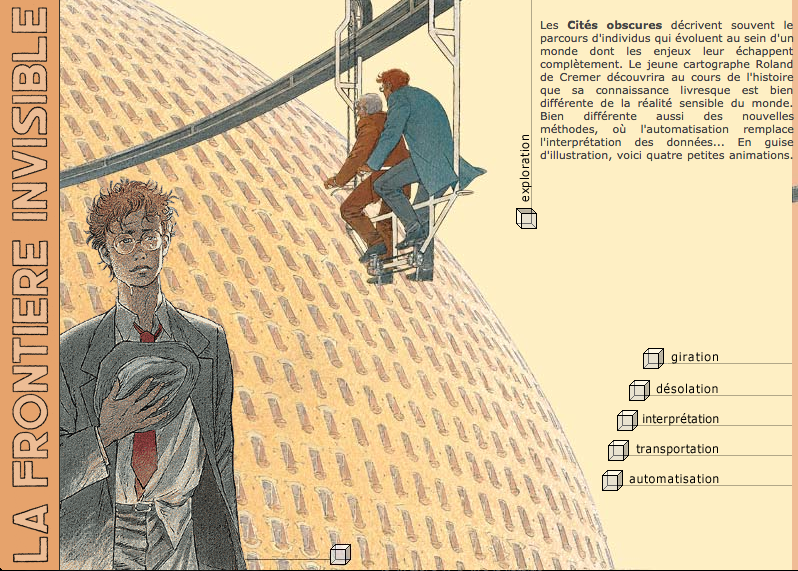 After clicking on it you got a new homepage with latest news and one image. 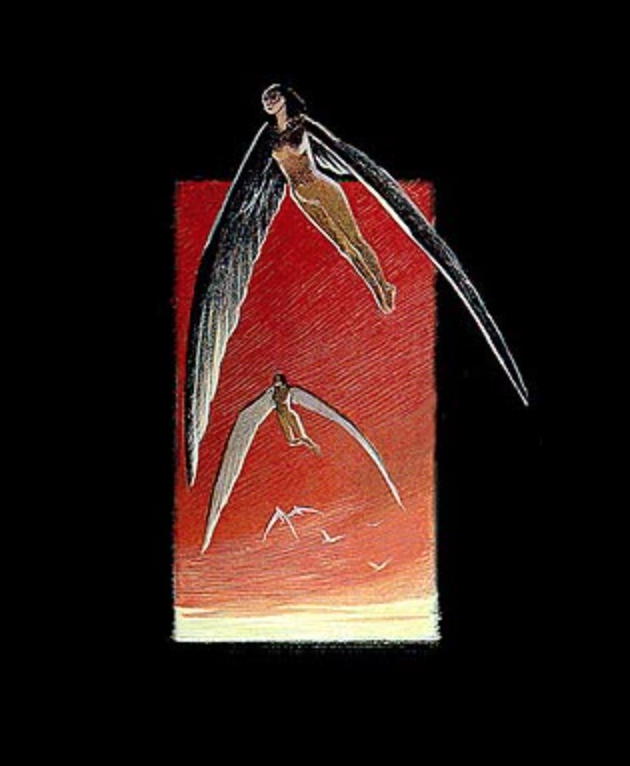 Depending on what part of the image you click you entered the remaining content. 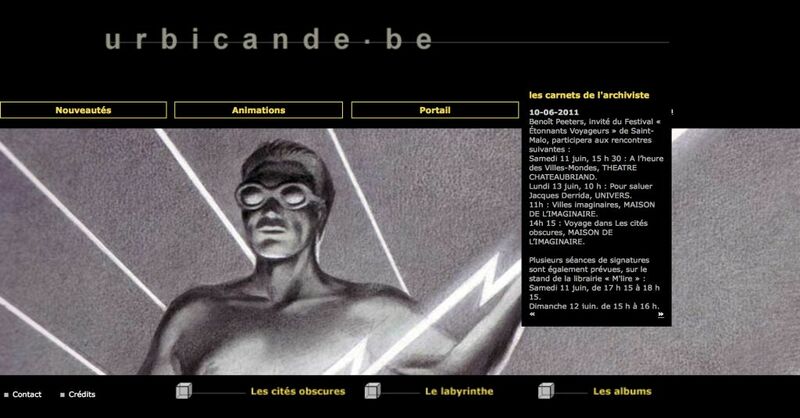 This version of the website introduced the use of Flash for more impressing animations and sounds. 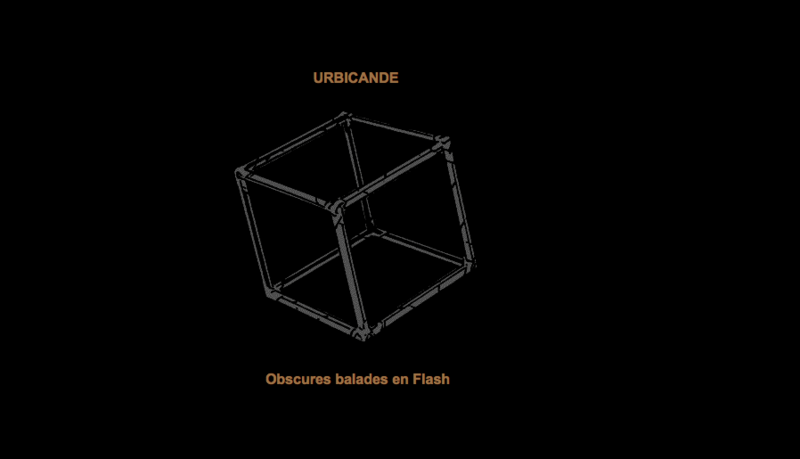 One of the first interactive Flash animations that were added to urbicande.be showed a cube. It grows when you click on it. 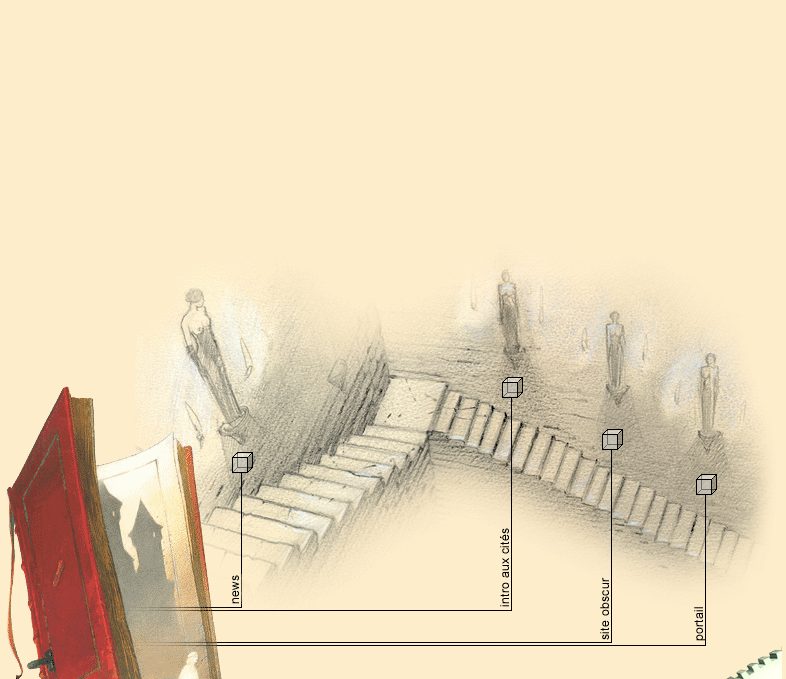 The outer sides linked to content on the website. 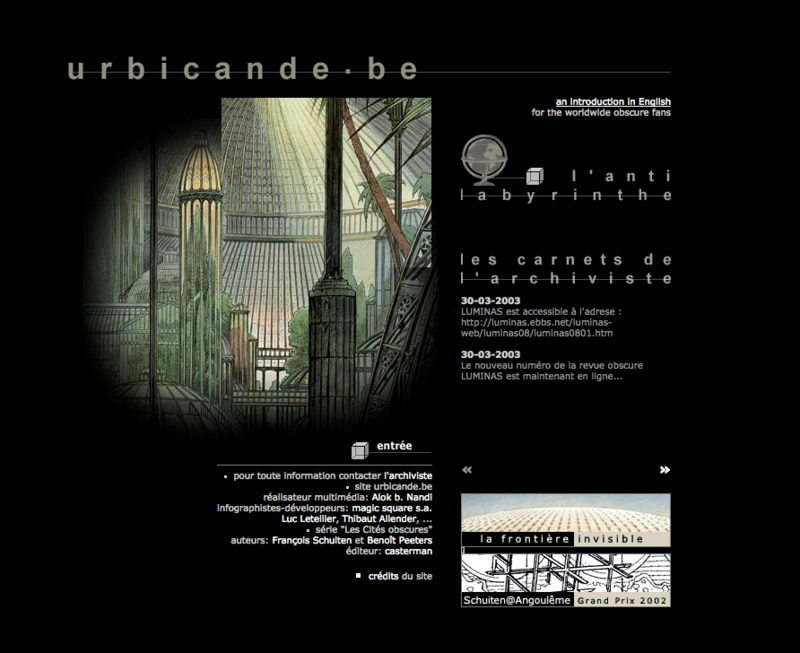 In 2000 the site was again renewed. 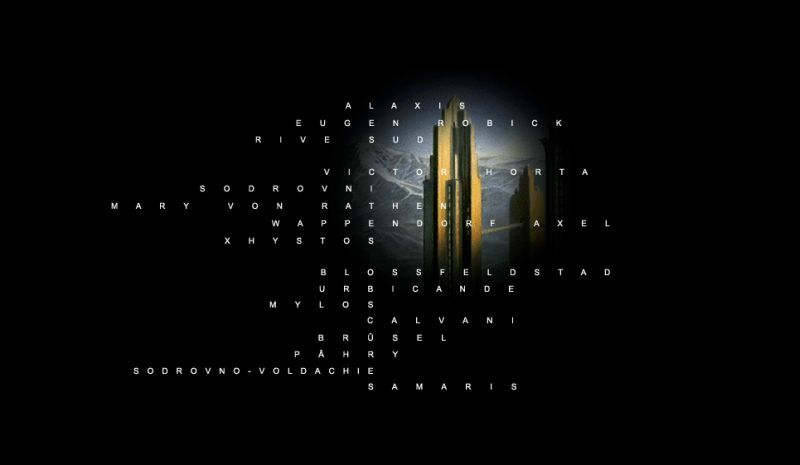 A new intro screen with names of Obscure Cities. After clicking on it another new screen appeared. 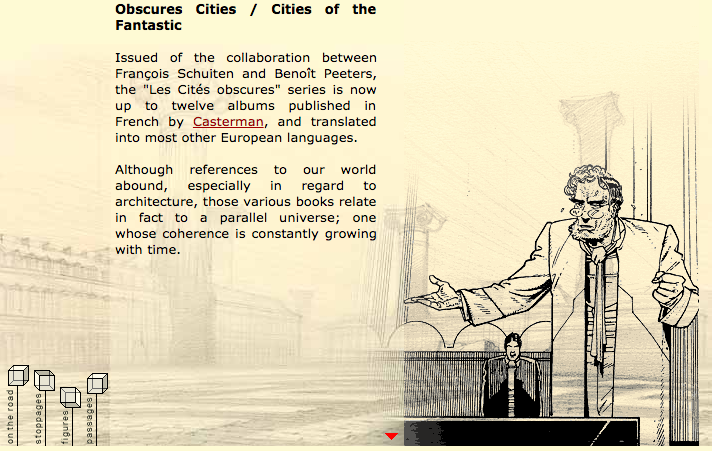 It gave access to the news section, a new introduction to the Obscure Cities section, the old content and a new portal with links to other Obscure Cities related sites. Hidden in the right corner there is a link to a new Flash module showing info over cities, persons and other Obscure stuff. 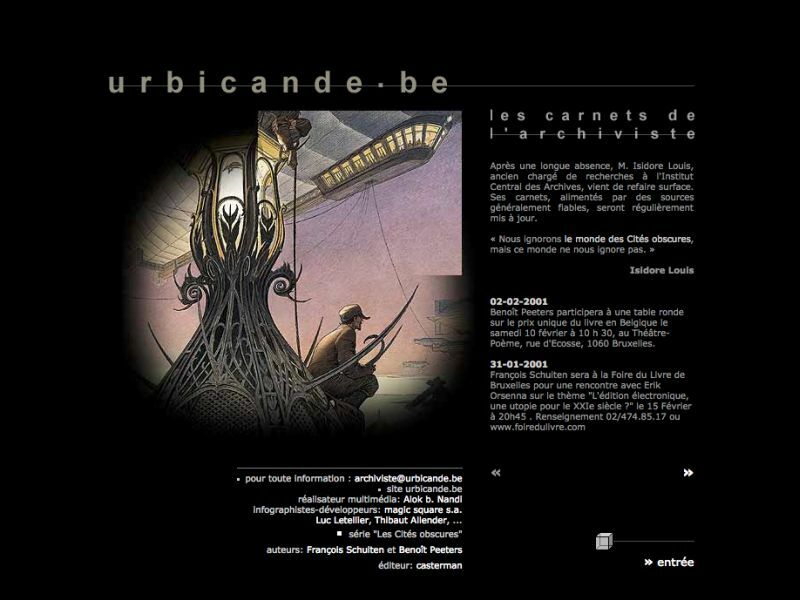 A year later in 2001 the frontpage changed again. Again a mixture of links and news. 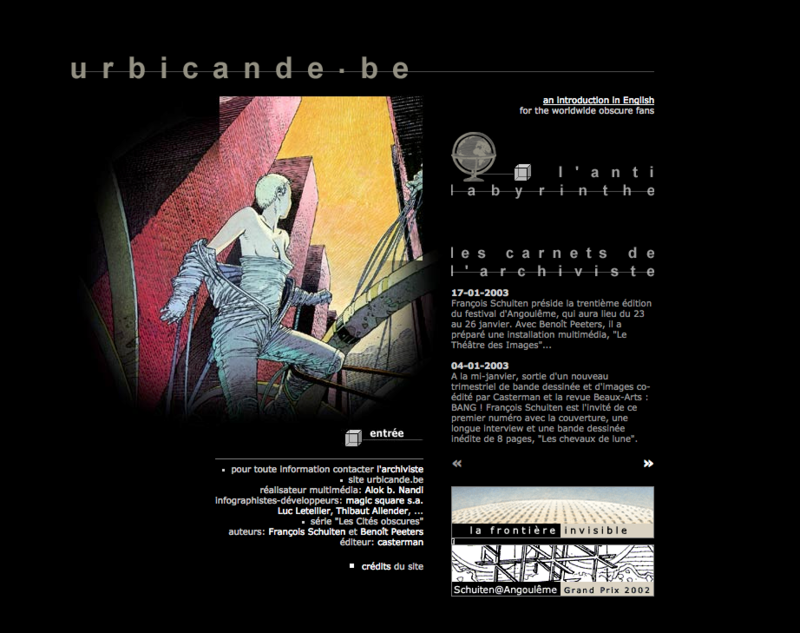 The main image linked to the main screen introduced in 2000. 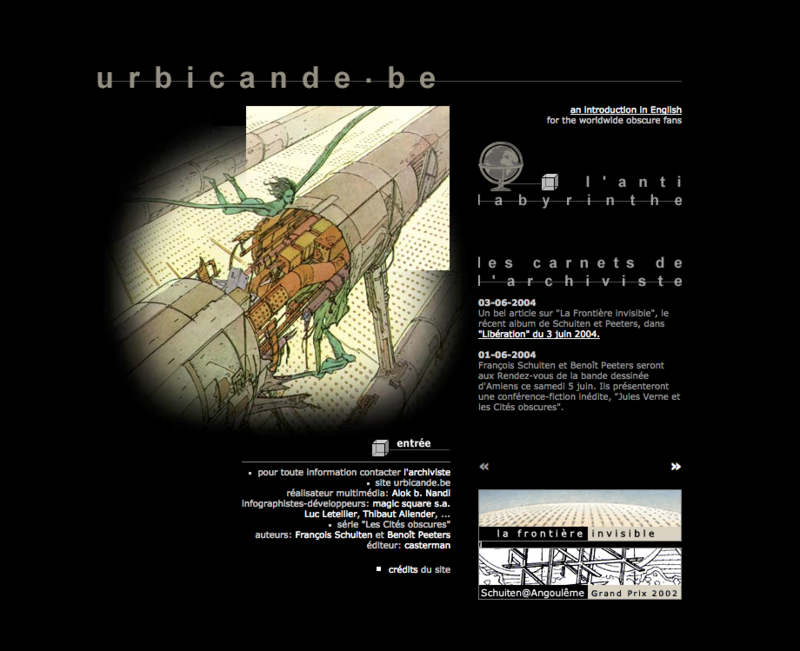 In 2002 a new links were placed on the front page to the Labyrinth with links to all main parts of the urbicande.be website. 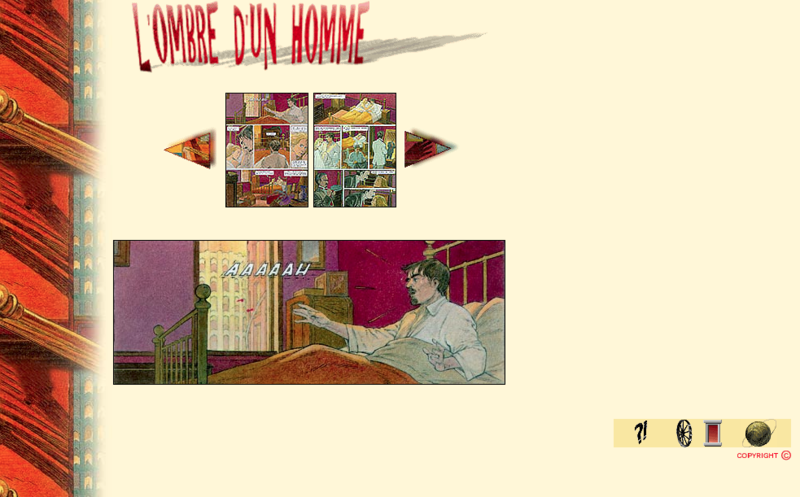 Also a new section about La Frontière Invisible was added. 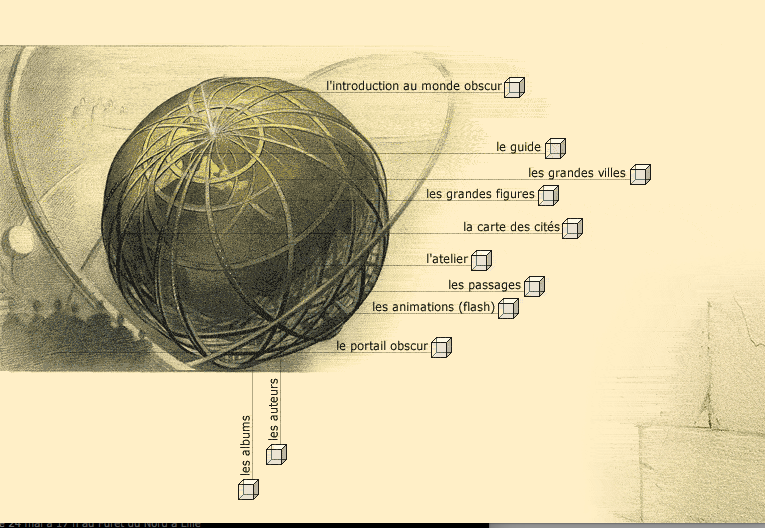 This new section has several Flash animations. 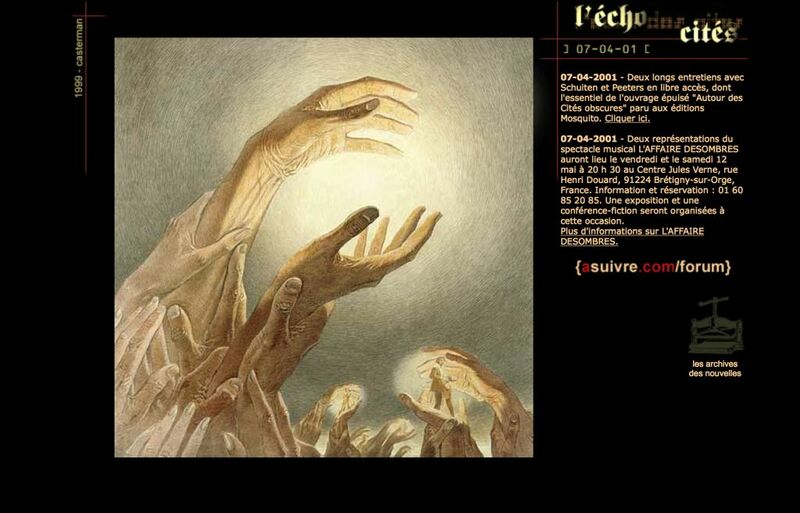 The main image of the homepage changed frequently. 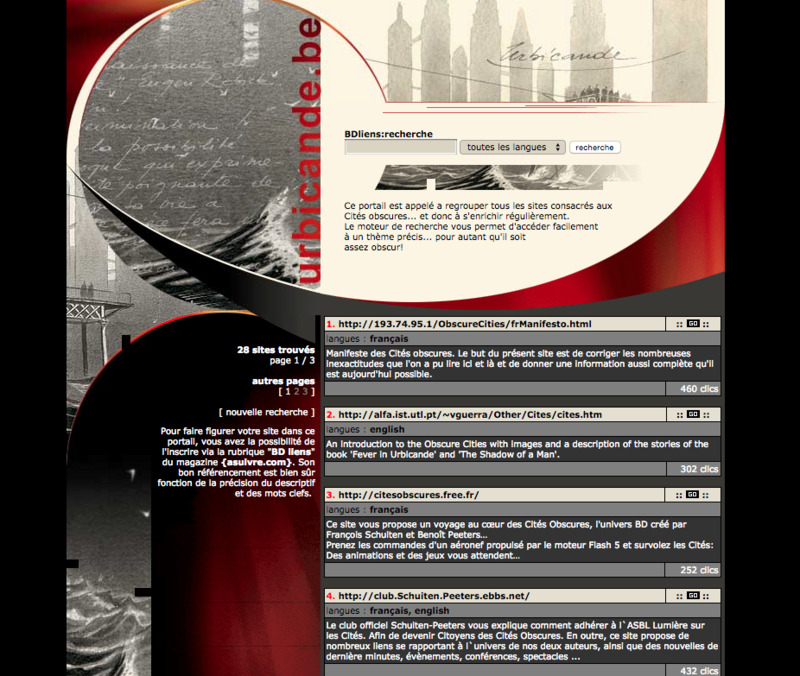 In 2005 was the last major overhaul of the frontpage. 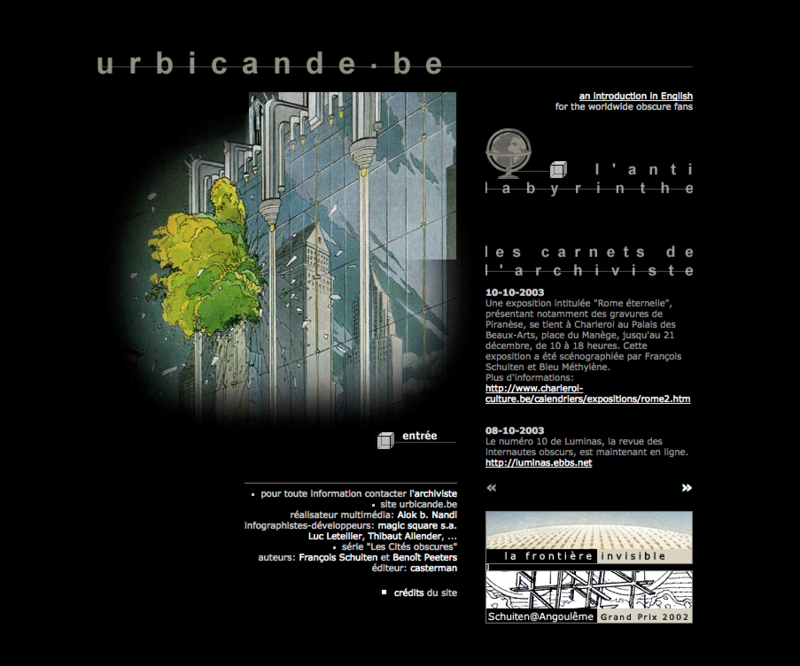 This new layout stayed until the end of the urbicande.be website in 2015. 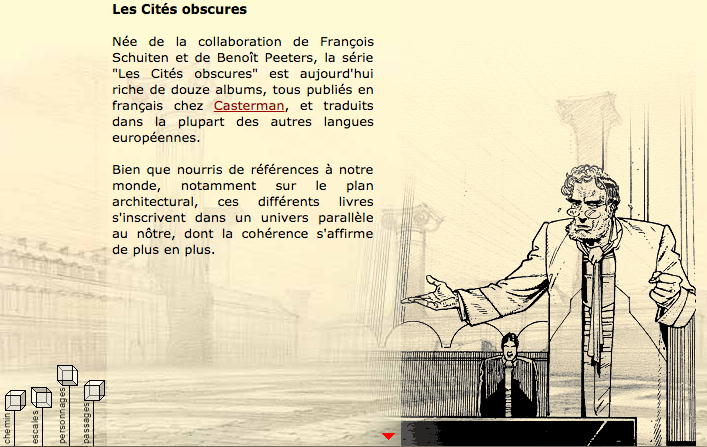 Other versions of the website can still be found with the WayBackMachine.